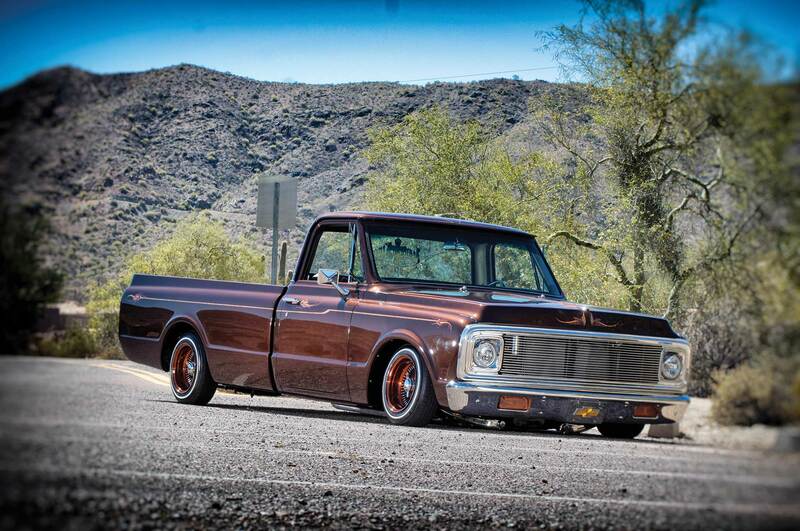 Home » 1971 Chevrolet C10 – Oye Morena! 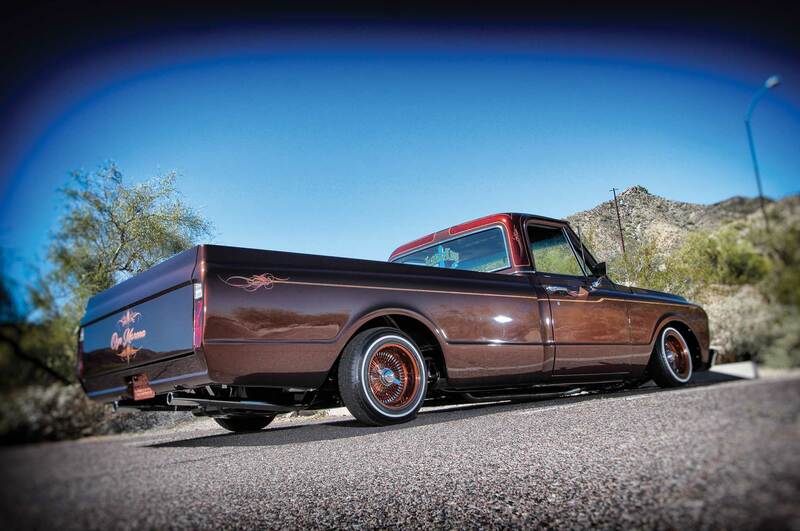 1971 Chevrolet C10 – Oye Morena! It is indeed a girl's truck ... 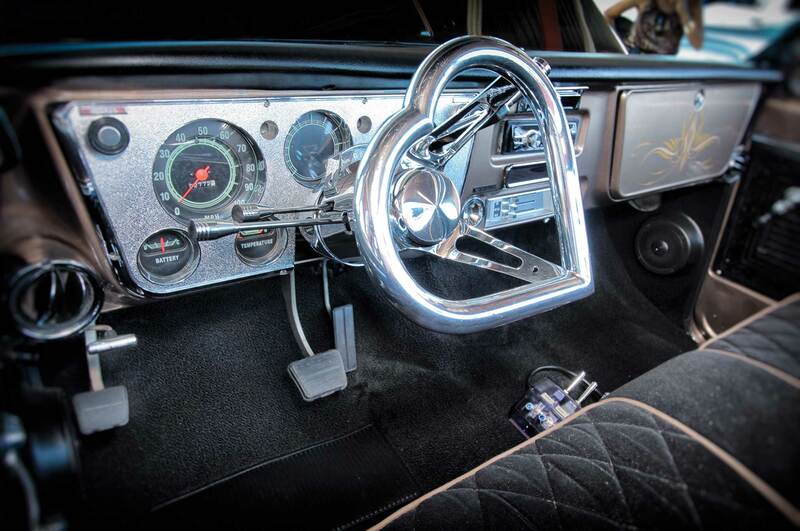 The heart-shaped steering wheel proves it! Debra Dehoyoz was born and raised in Phoenix, Arizona. 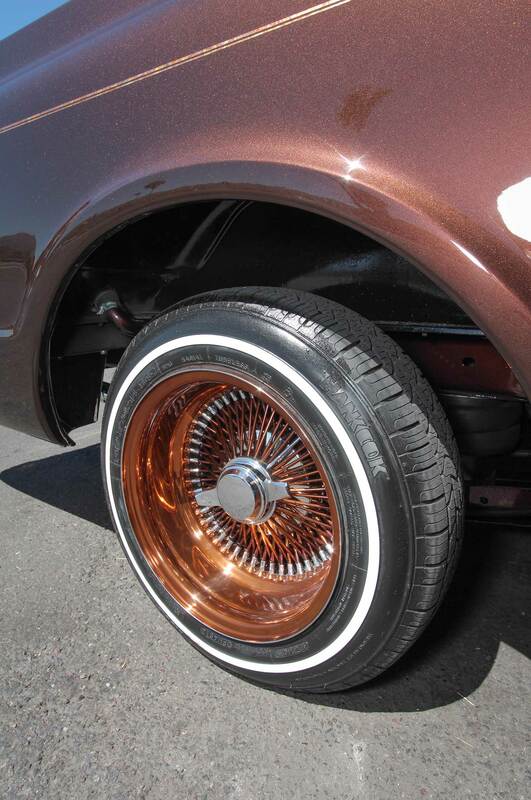 She has lived there all her life and she claims that she was bitten by the lowrider bug back when she was about 13 years old. 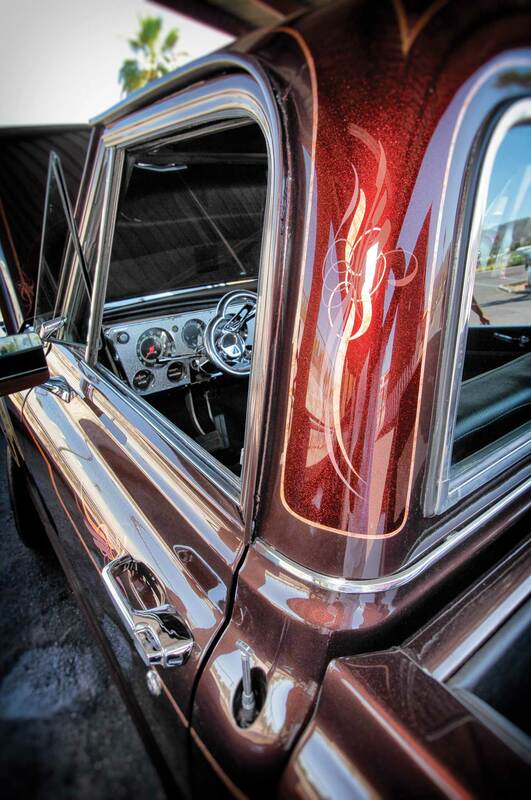 She remembers her grandfather driving her and her oldest brother to junior high school in his 1963 Impala. On weekends, she would go over to her grandparents’ house and would simply dream about that car. As Debra got older, her lowriding-inspired daydreams never went away. Her first ride ended up being a ’77 Monte Carlo. 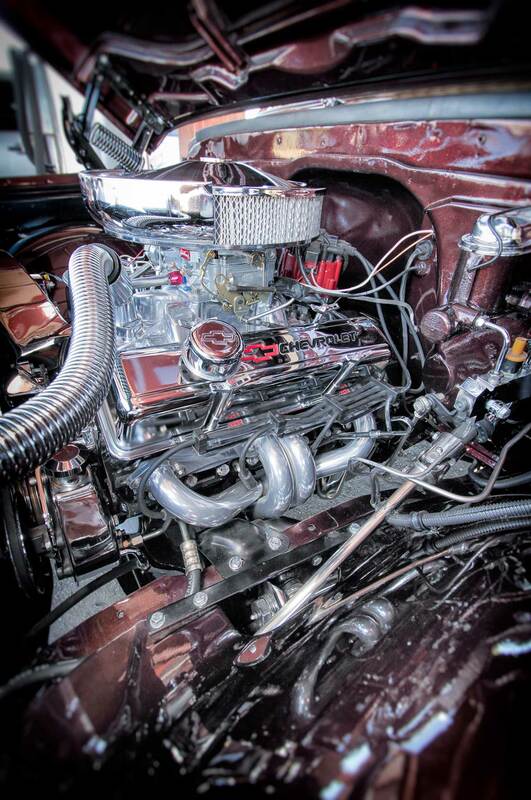 Shortly after getting that ride, she recalls her uncle coming across a ’69 Chevy C10 truck. 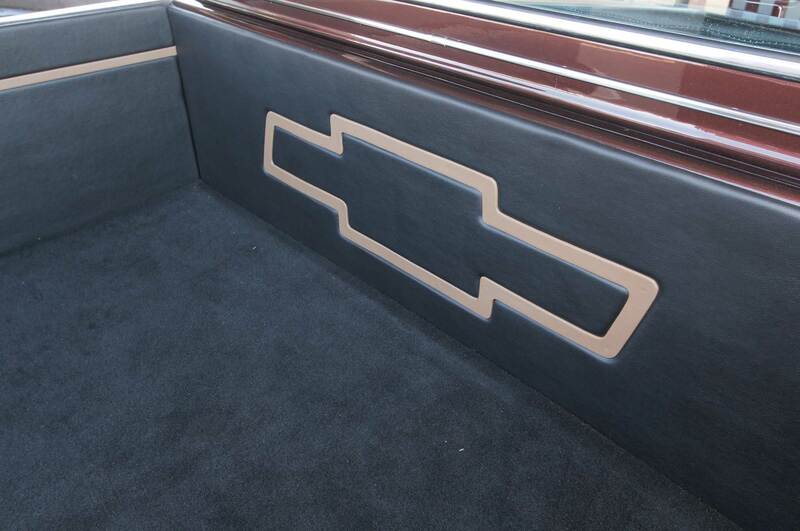 At first, Debra admits she didn’t see the potential such a truck would have, but after he fixed it up and customized it, she also became motivated to build a truck. Eventually, Debra did find a ’71 C10. 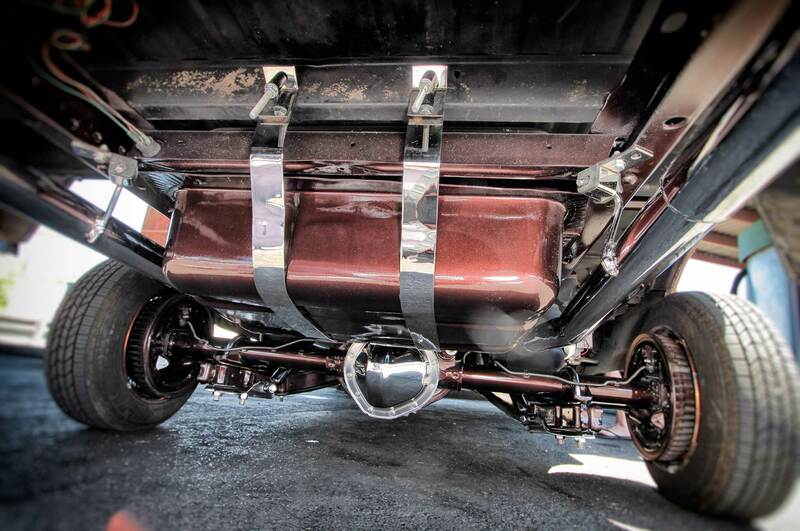 The build was slow at first, but she says she never lost the ultimate look she had envisioned for this ride. Debra’s husband Ricky and some of Debra’s uncles and friends all came through to help her with transforming this ride from an ordinary truck to one mean cruiser! 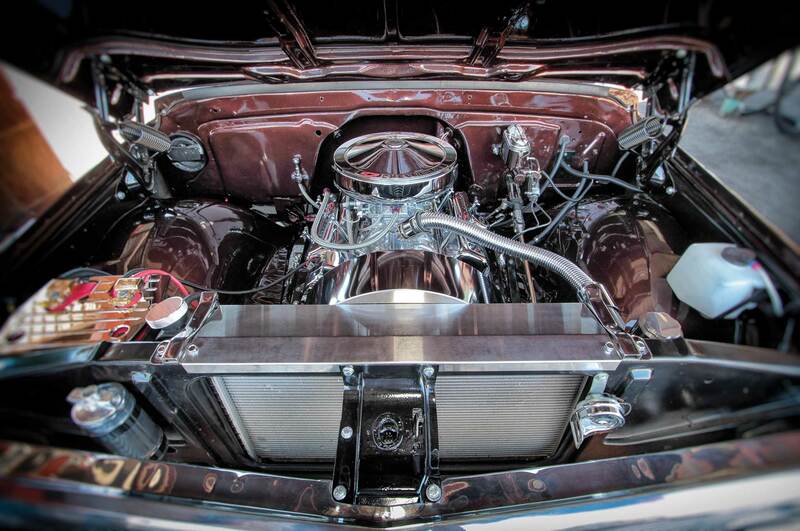 Debra and her husband (who is also into lowriding) created a Christian car club called Jesus is King. Debra says that without God in their lives, they are nothing. When they started to attend car shows, the married couple found many other lowriders who were also Christian and had other common interests. The club has since grown quite a bit and they continue to “love and honor the Lord and ride for Jesus.” Debra says they minister wherever they go. 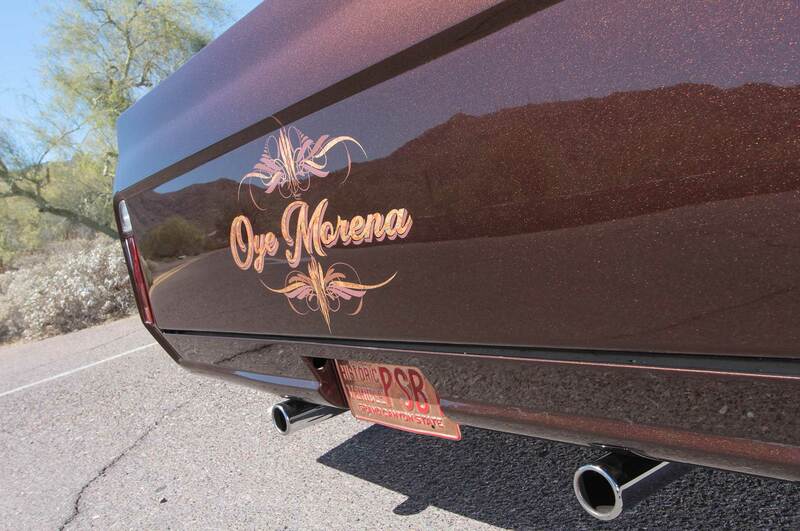 Jose and Jaime Carillo of Javier’s Customs in Phoenix added custom goodies including a rear roll pan, frenched antenna, relocated gas tank, shaved side markers and tailgate handle, and a billet grille. 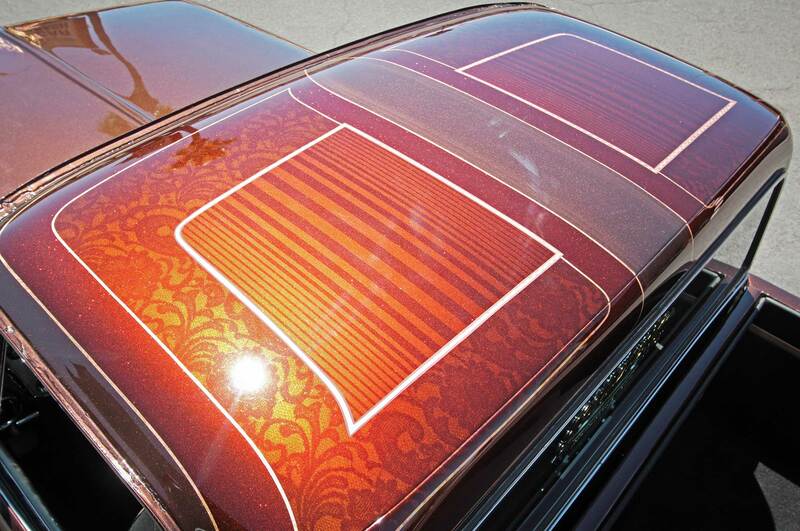 The truck was given a custom copper pearl finish, complete with rooftop flakes and ghost patterns. 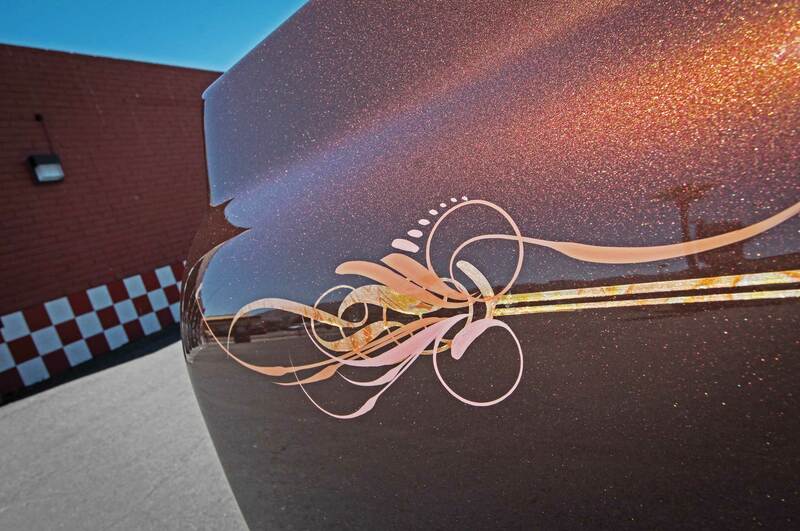 Bugs of Bugs Auto Art in Mesa, Arizona, did the pinstriping.